The choice is yours: a Microsoft Xbox One X or a mixed-reality headset? They cost about the same. 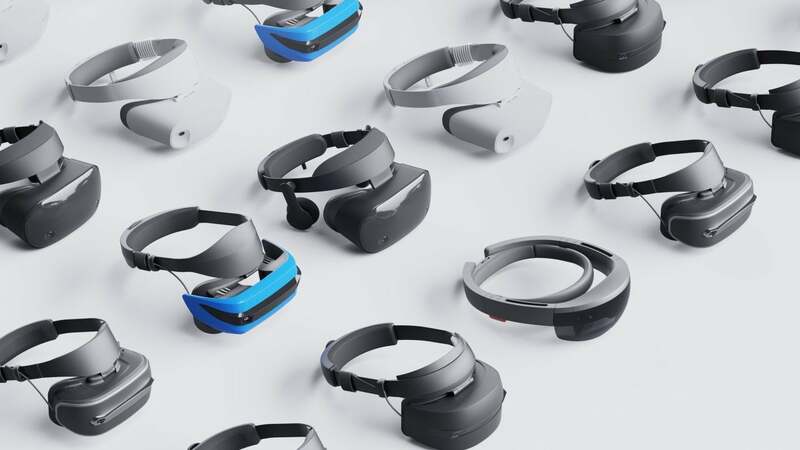 On Monday, Microsoft kicked off preorders for the Windows mixed reality devices that will hook in to the upcoming Windows 10 Fall Creators Update. A new Samsung Odyssey head-mounted display (HMD) joins the existing stock from Acer, Dell, and others. Microsoft also announced two new mixed-reality services: the virtual-reality social network AltspaceVR, which Microsoft recently acquired, and a new VR experience from Halo developer 343 Industries, called Halo: Recruit. Though mixed reality technically includes augmented reality and traditional virtual reality, the first generation of “mixed-reality” HMDs are essentially VR devices. Microsoft said that the headsets will be able to tap into 20,000 apps within the Microsoft Store, plus SteamVR apps, including Superhot, Space Pirate Trainer, Arizona Sunshine, and more. Microsoft is also betting that consumers will want to join a community of like-minded VR fans, such as VR chat rooms powered by AltspaceVR. Samsung’s own Odyssey HMD appears to be a bit more sophisticated than the competition; while the competing HMDs use a pair of 1440x1440 displays, the Odyssey ups the resolution to 1440x1600 per eye, and with AMOLED displays to boot. The field of view is also slightly higher, at 110 degrees, versus the 105 degree FOV that the other HMDs offer. Like the others, the Odyssey will offer “inside out tracking,” or the ability for the headset to locate itself as it moves through space, without the need for external sensors. All of the devices are tethered to a PC, using a 4-meter cable that includes HDMI 2.0 and USB 3.0 connectivity. Samsung’s Odyssey will be available on November 7, and will include a pair of handheld motion controllers as well. Microsoft didn’t comment on whether a consumer release of the HoloLens is planned. Why this matters: Microsoft’s making a big bet on mixed reality, or VR, for the fall, tacitly challenging consumers to choose between a proven game console platform like a $499 Xbox One X, or an unproven $499 mixed-reality device. Or put another way, Microsoft sees in mixed reality yet another way for people to interact with a PC, alongside voice, touch, pen, and more. Will it take hold? Time will tell.